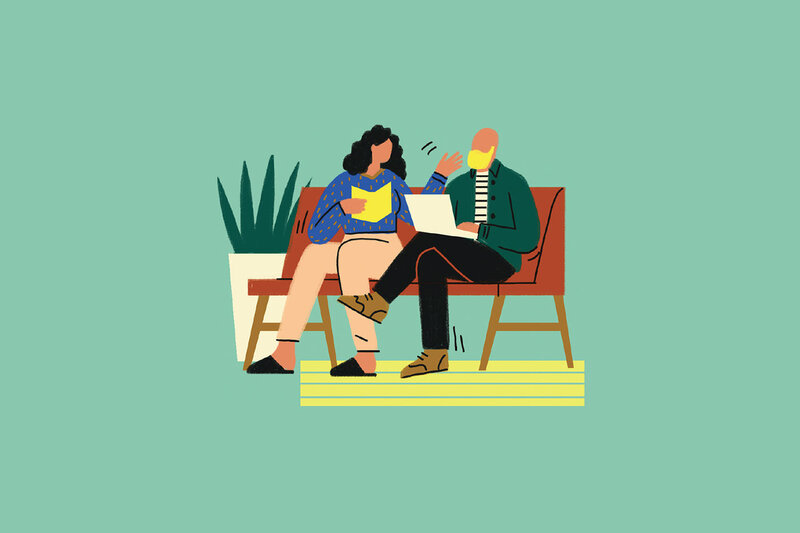 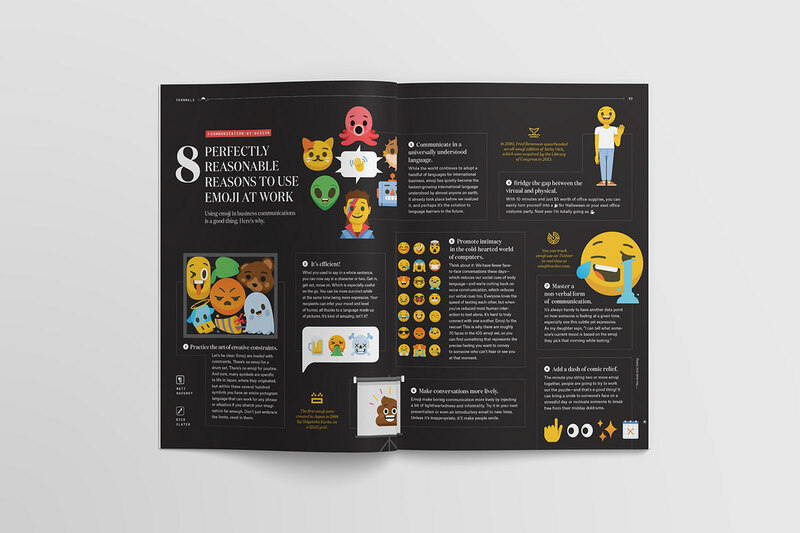 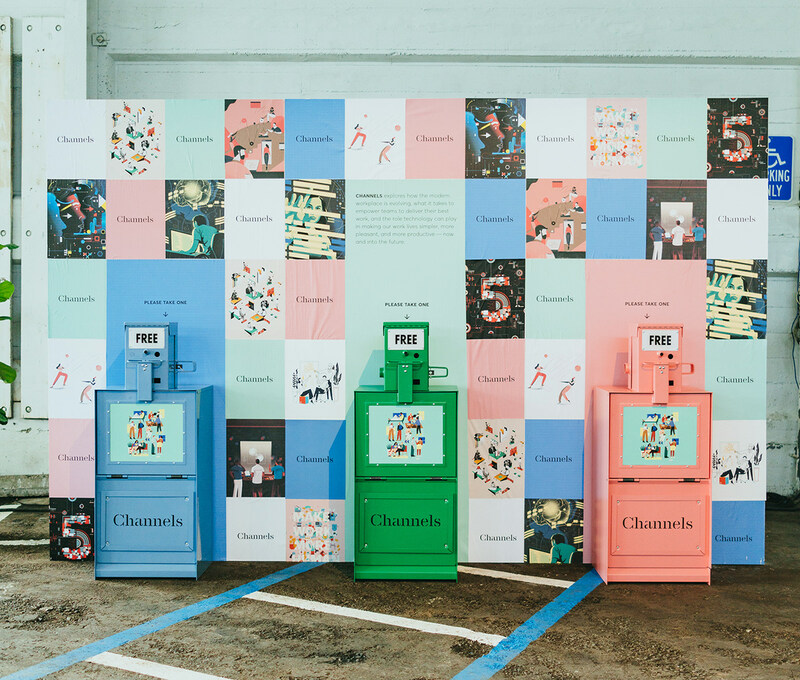 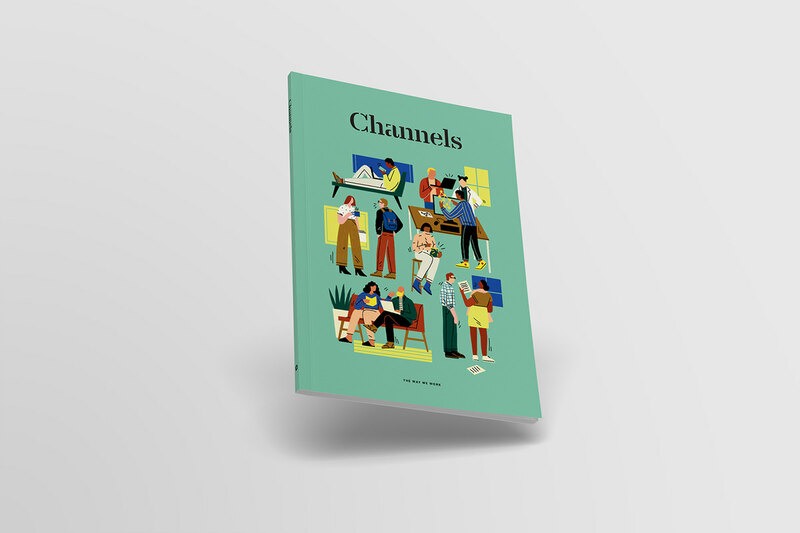 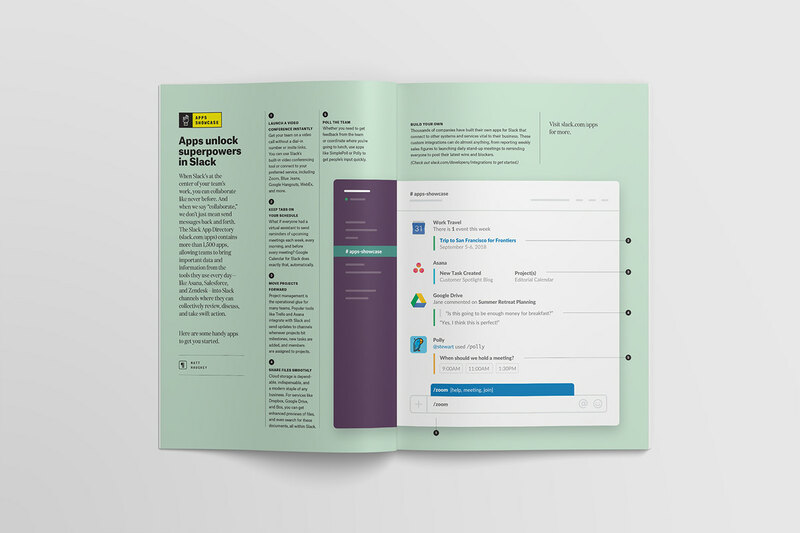 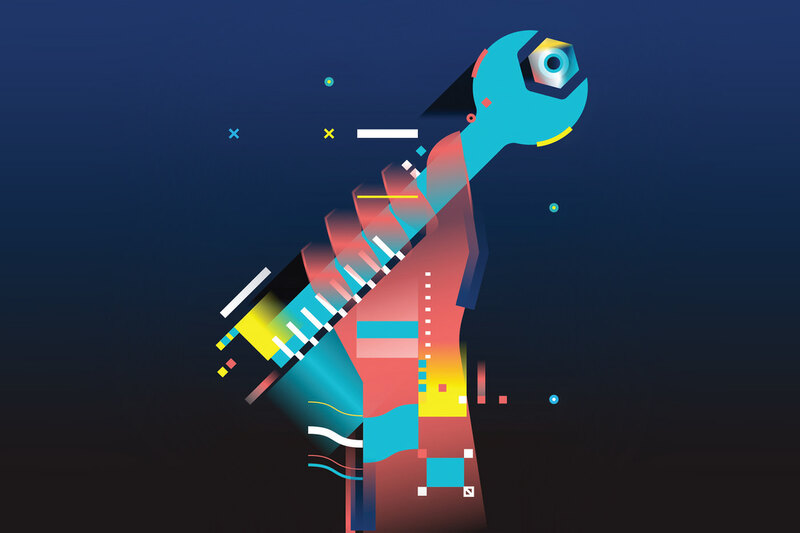 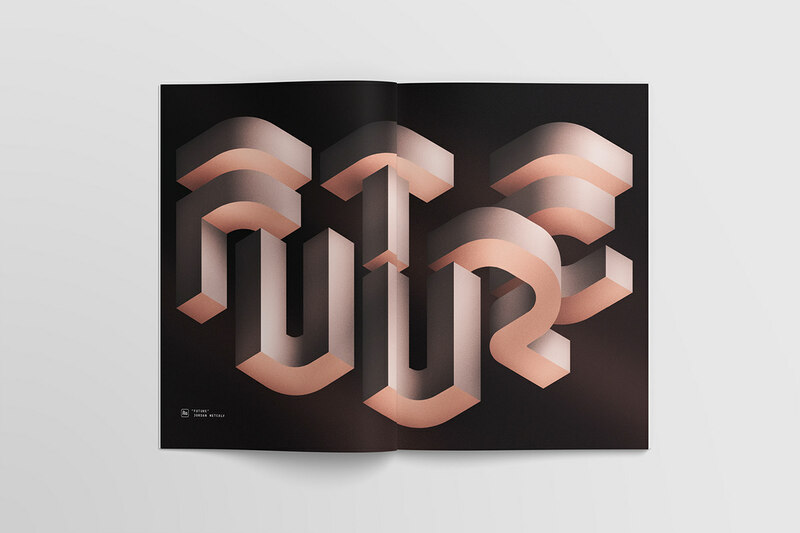 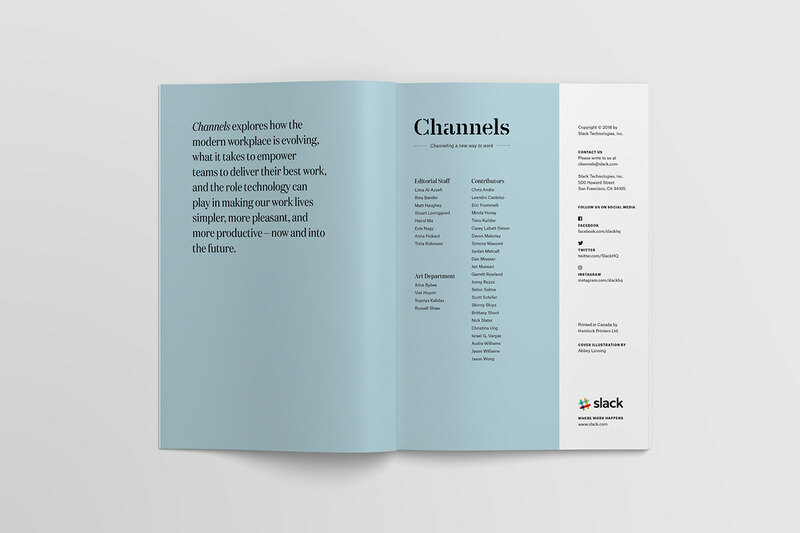 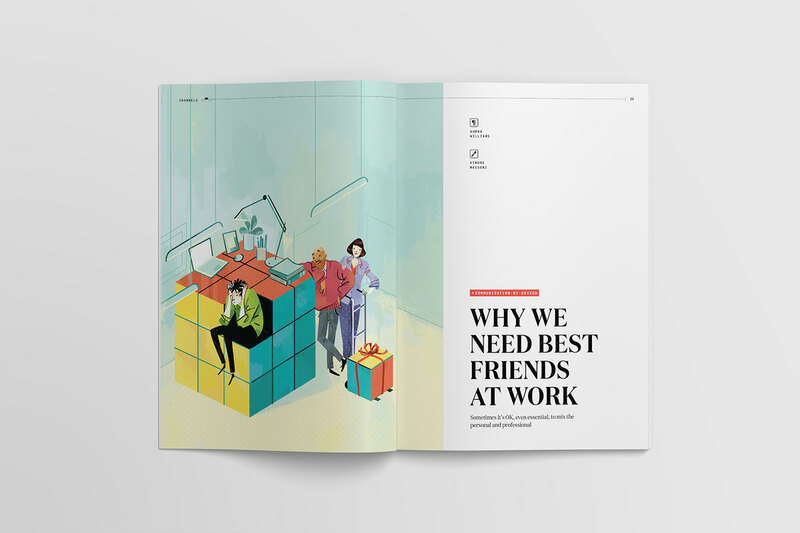 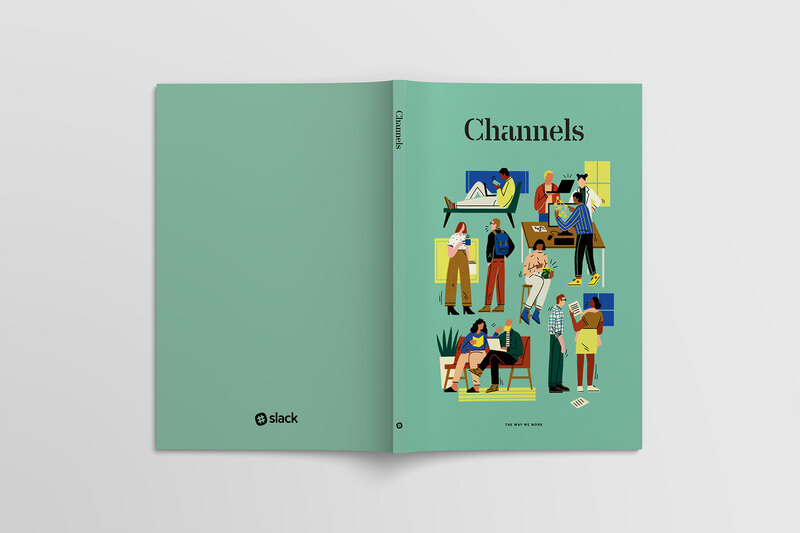 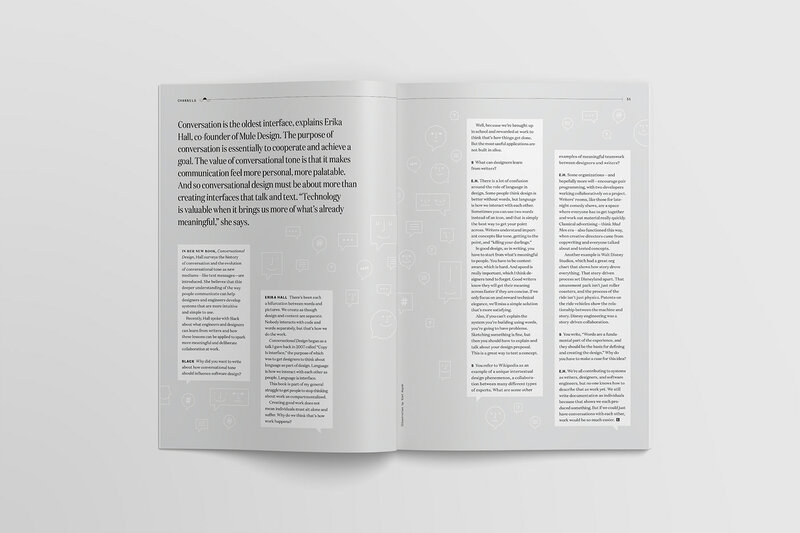 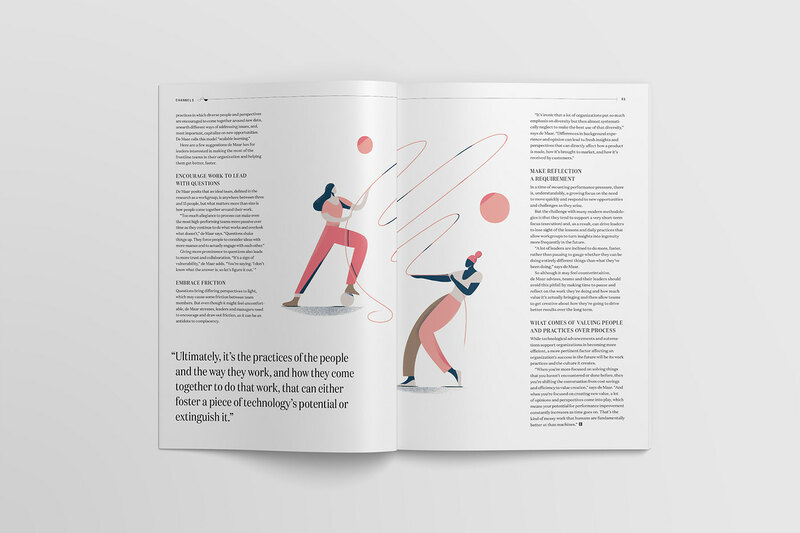 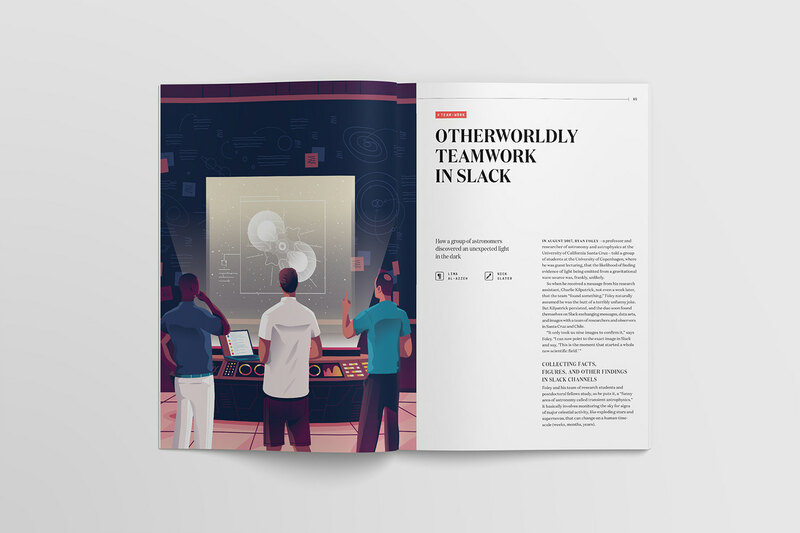 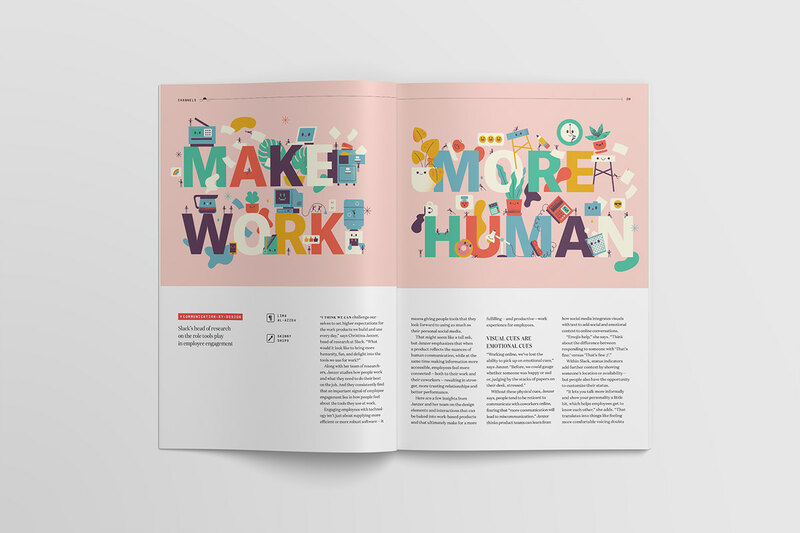 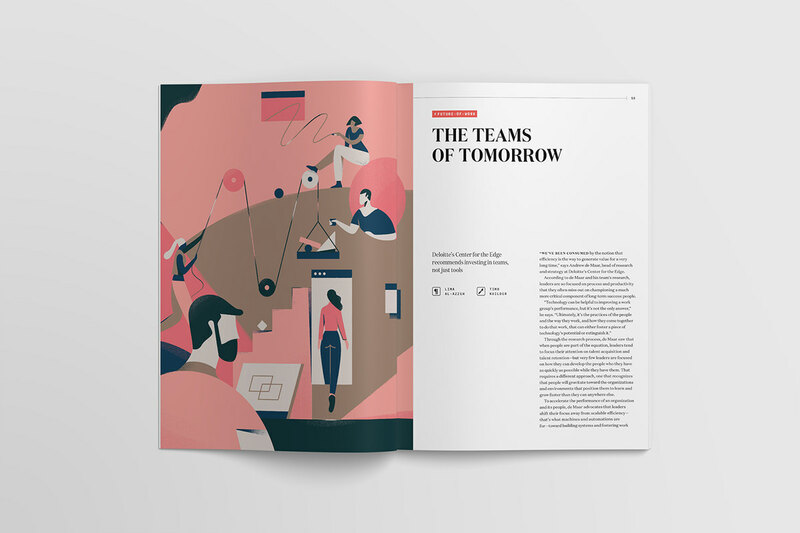 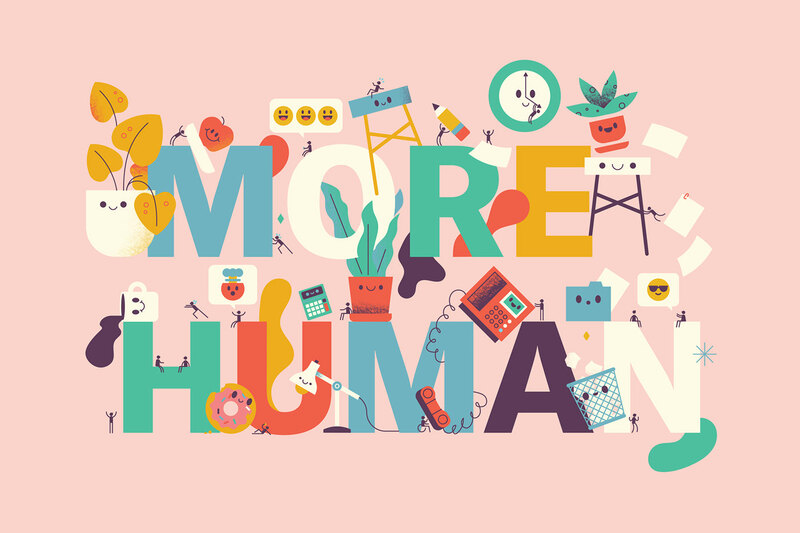 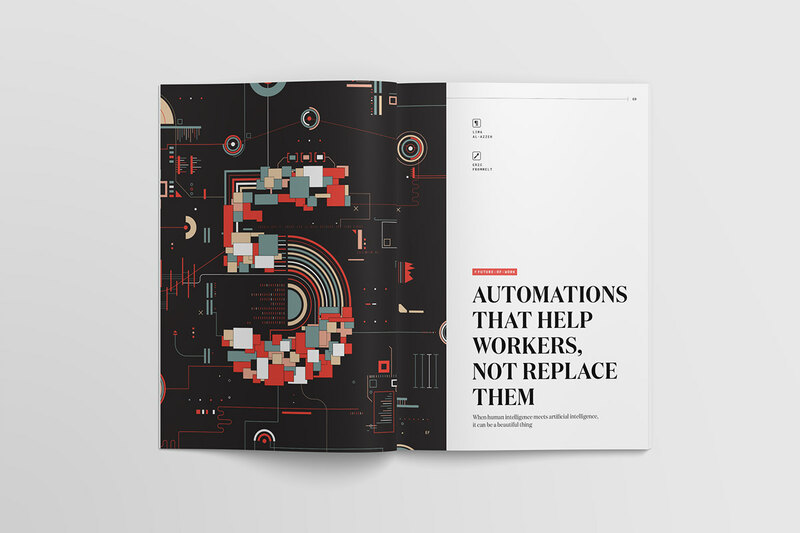 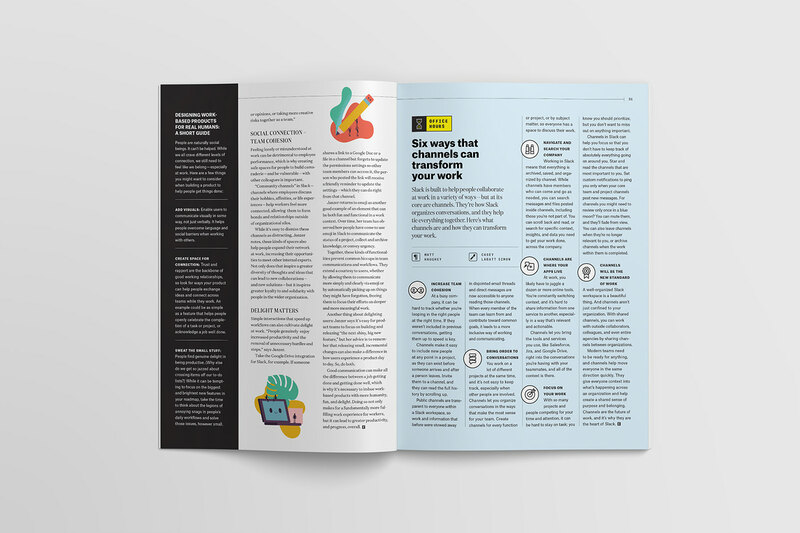 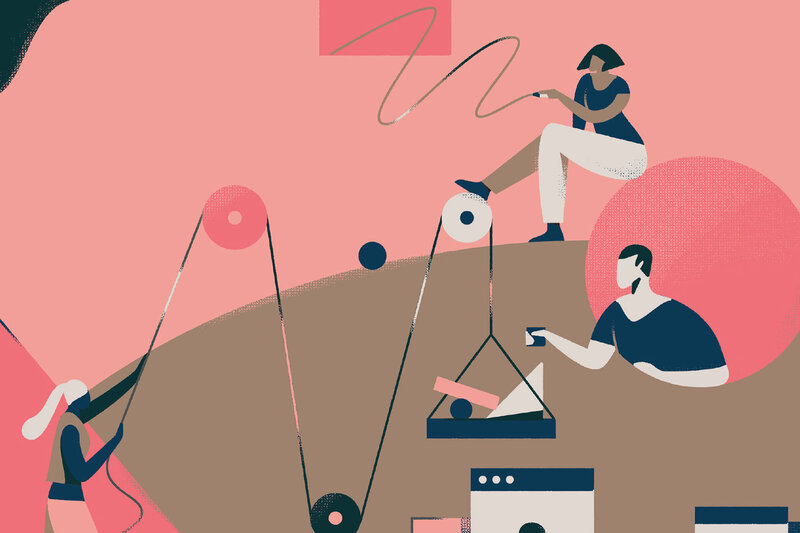 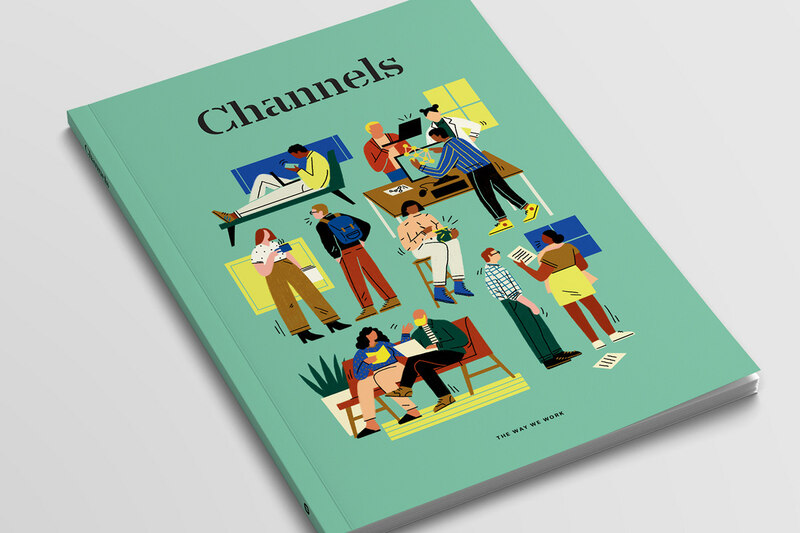 Channels is a publication by Slack that explores how the modern workplace is evolving, what it takes to empower teams to deliver their best work, and the role technology can play in making our work lives simpler, more pleasant, and more productive – now and into the future. 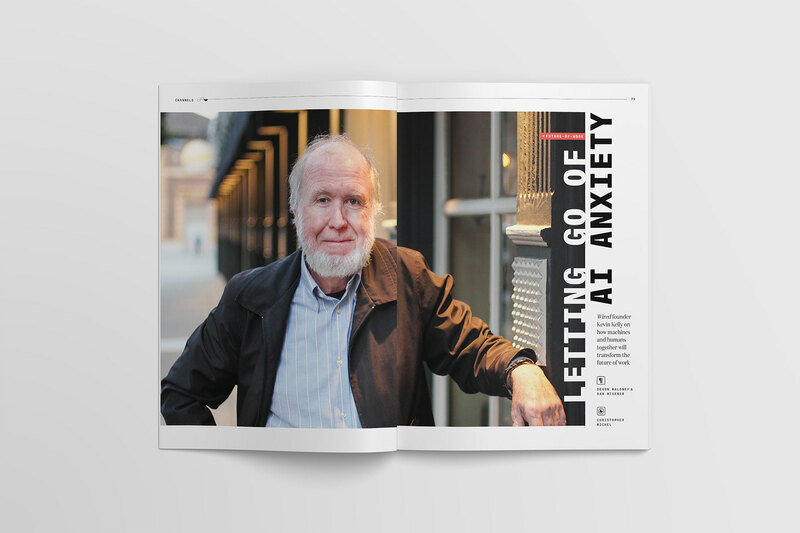 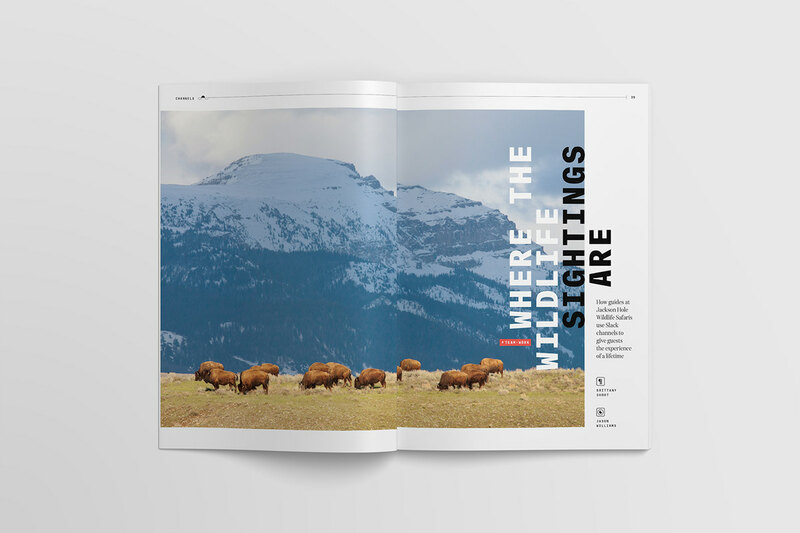 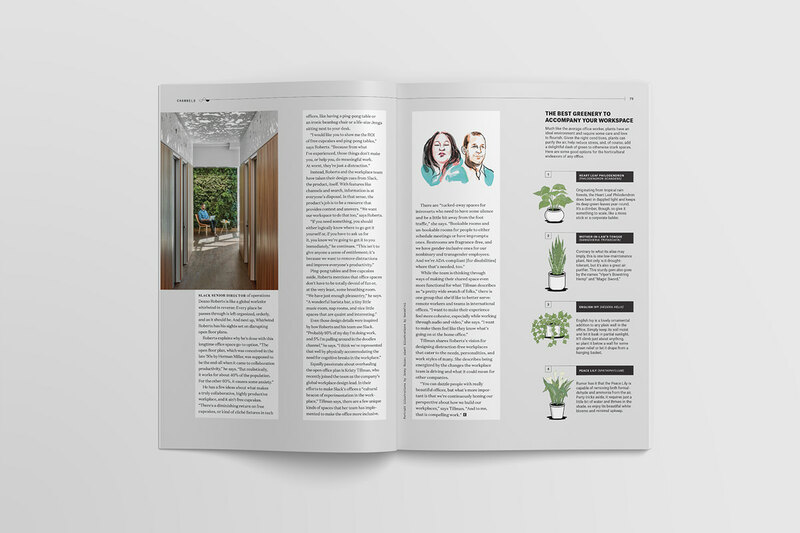 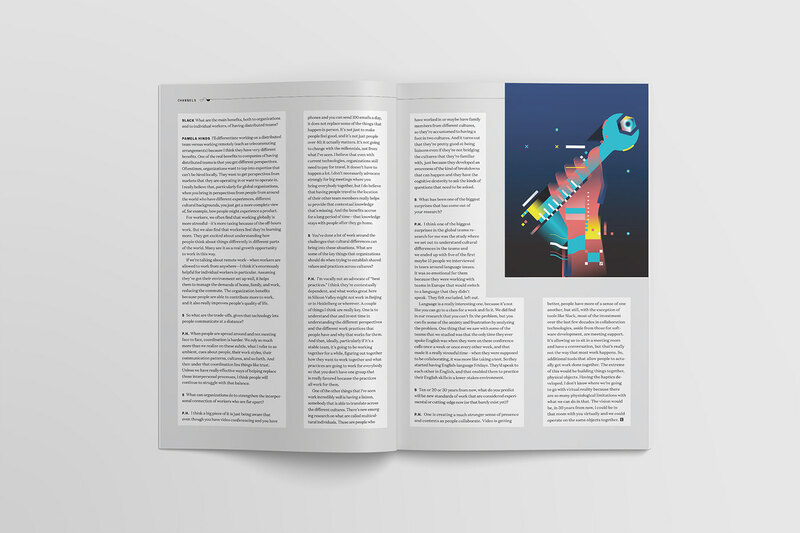 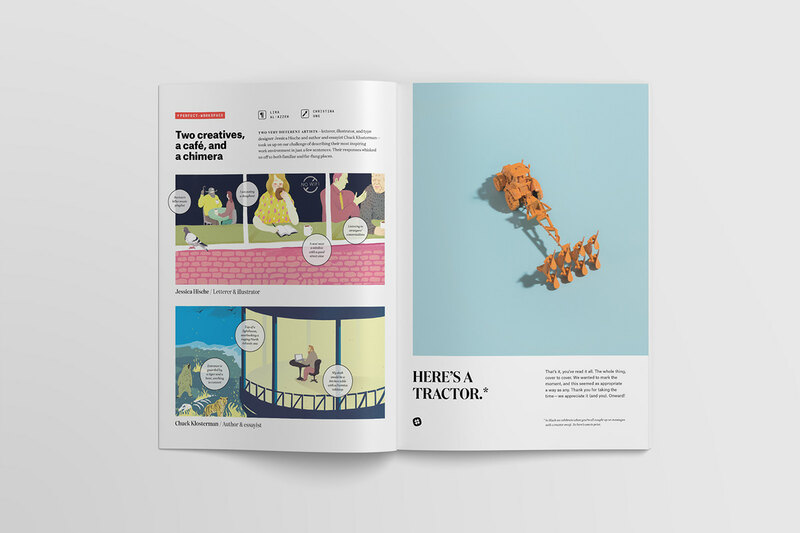 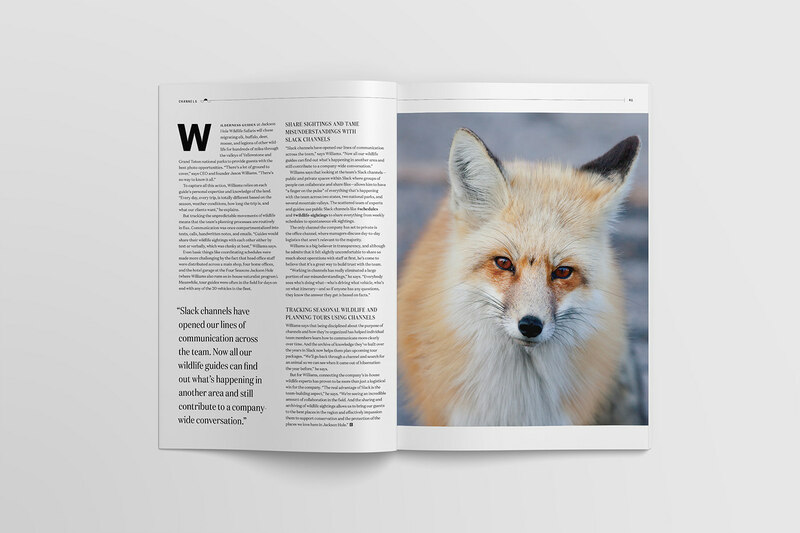 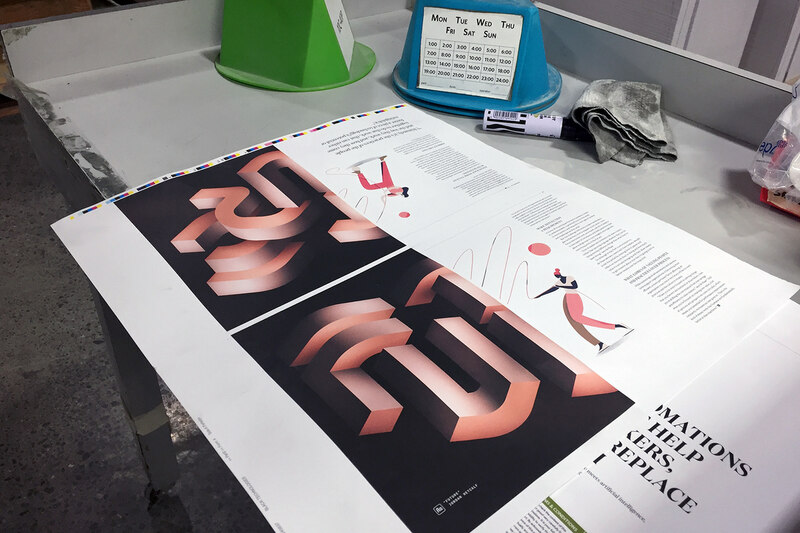 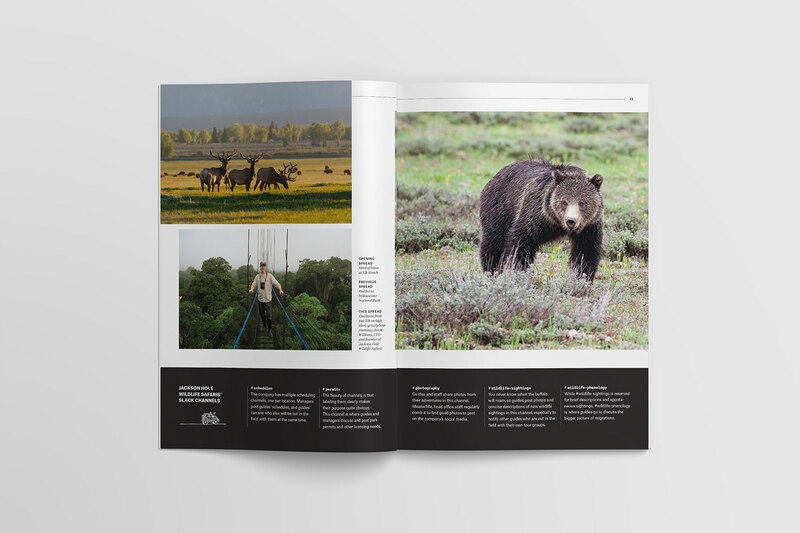 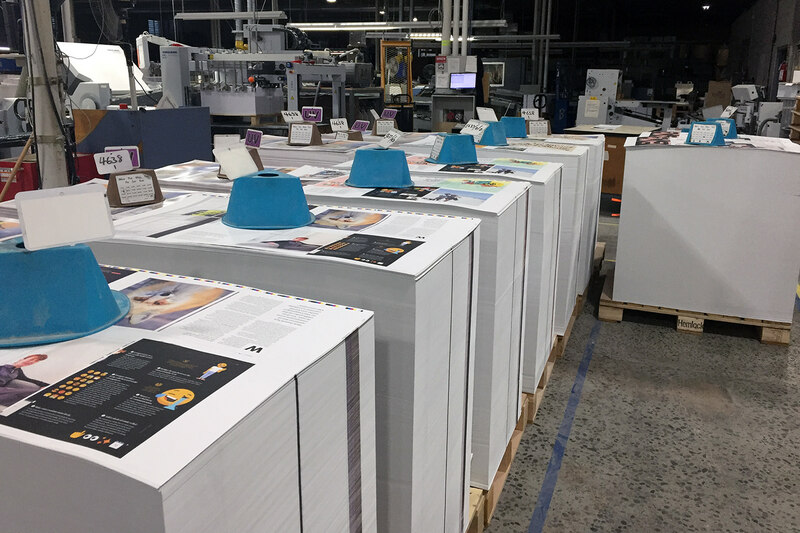 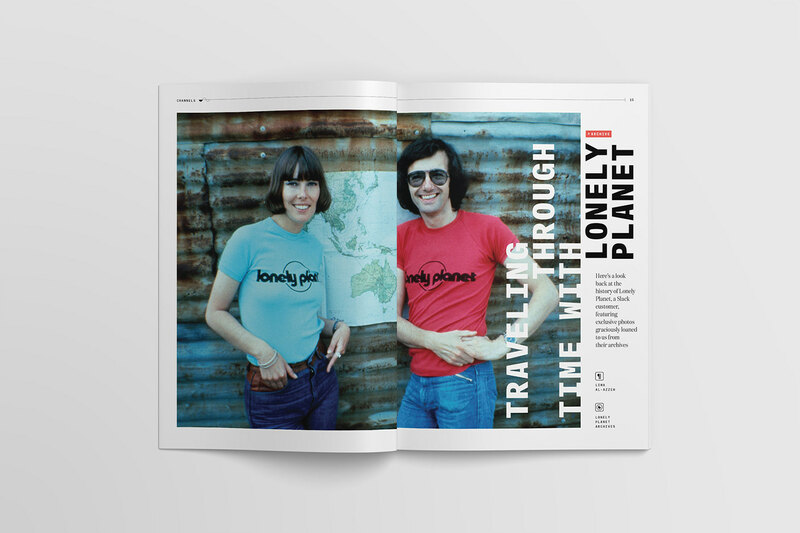 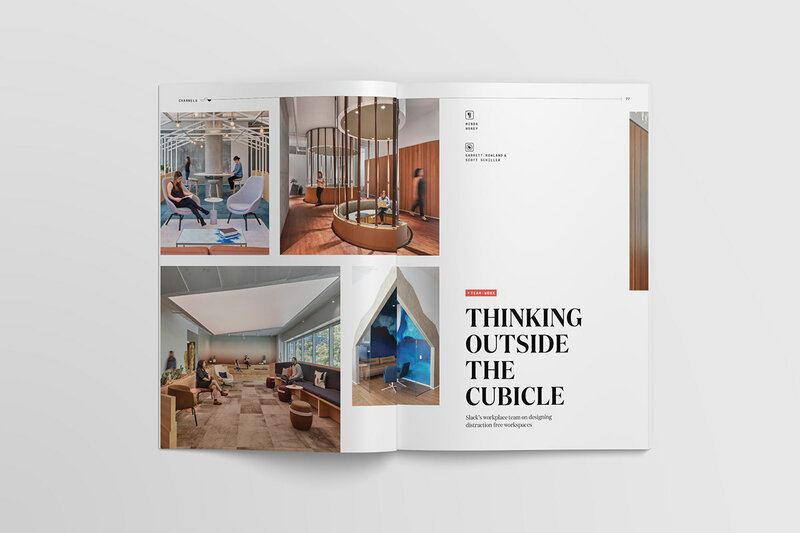 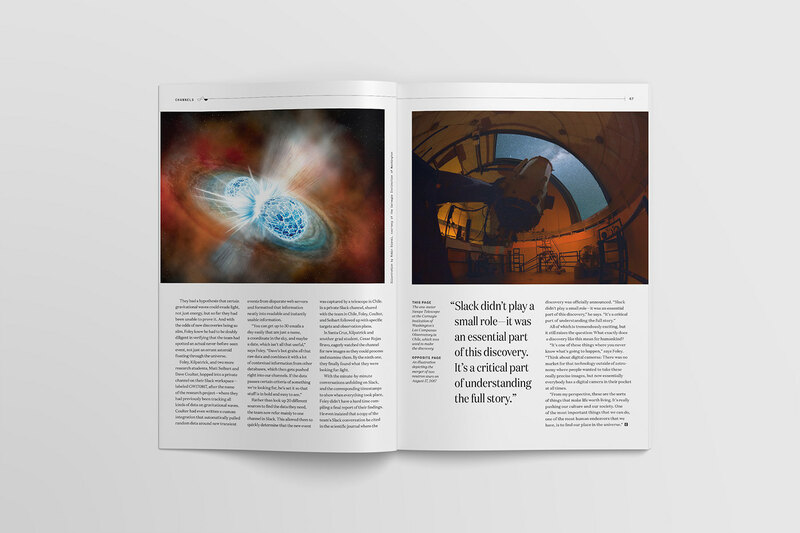 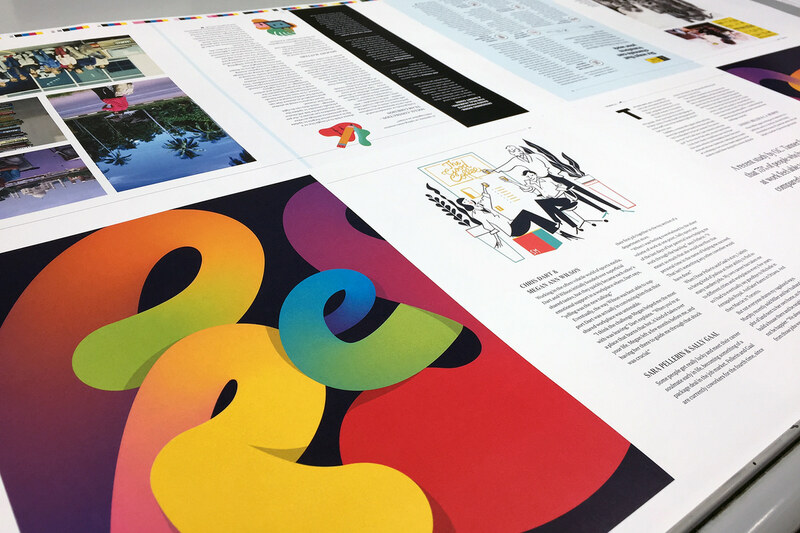 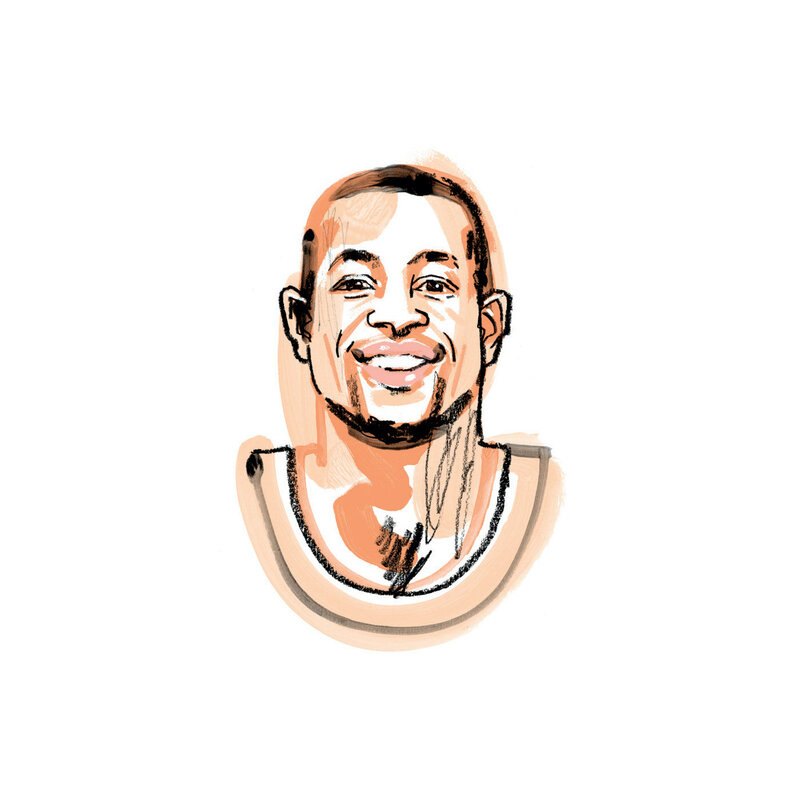 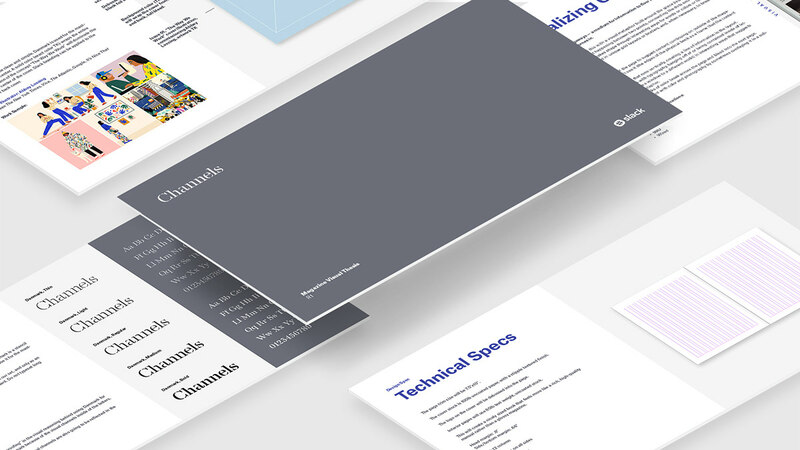 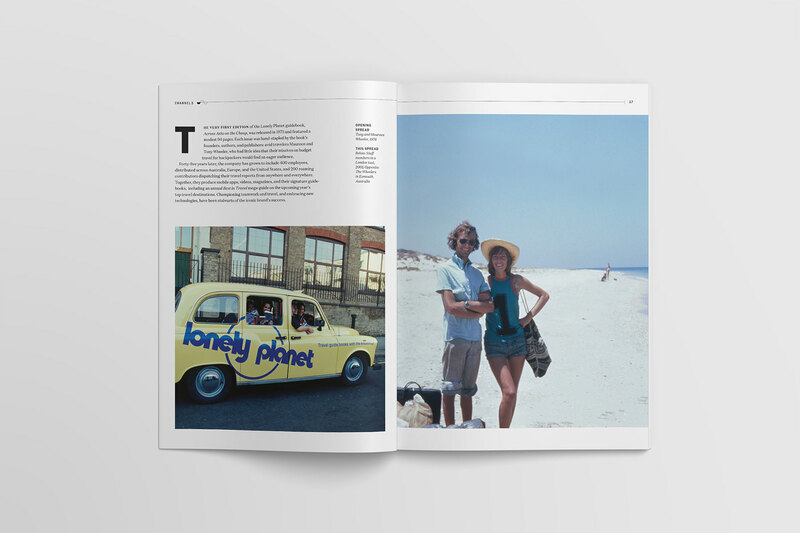 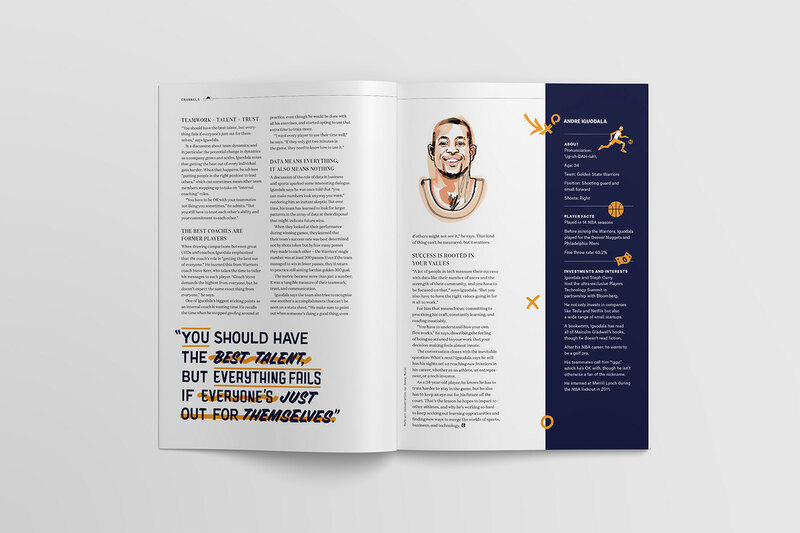 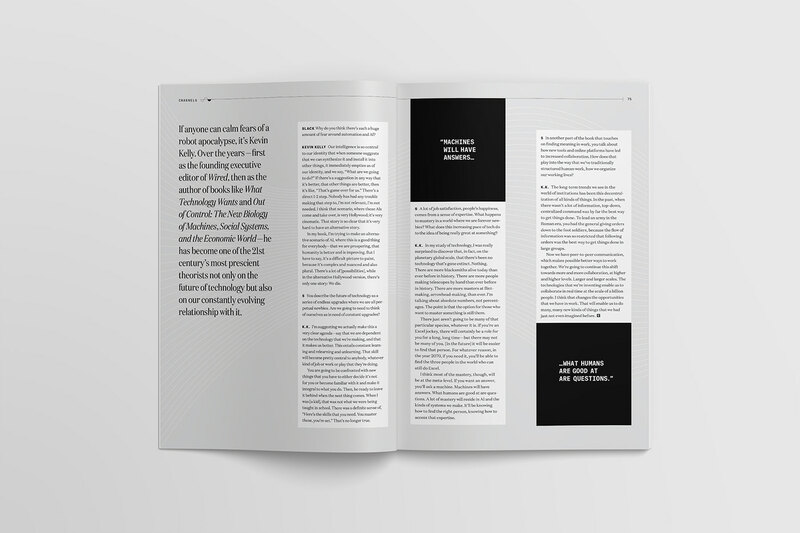 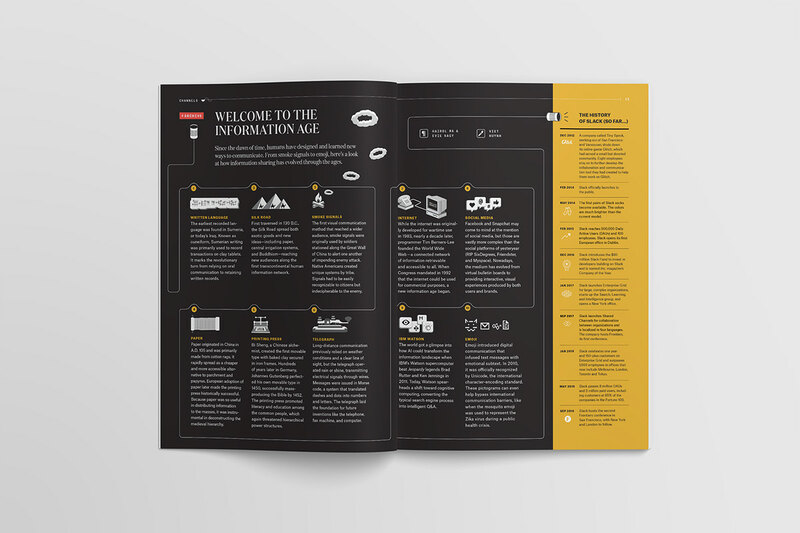 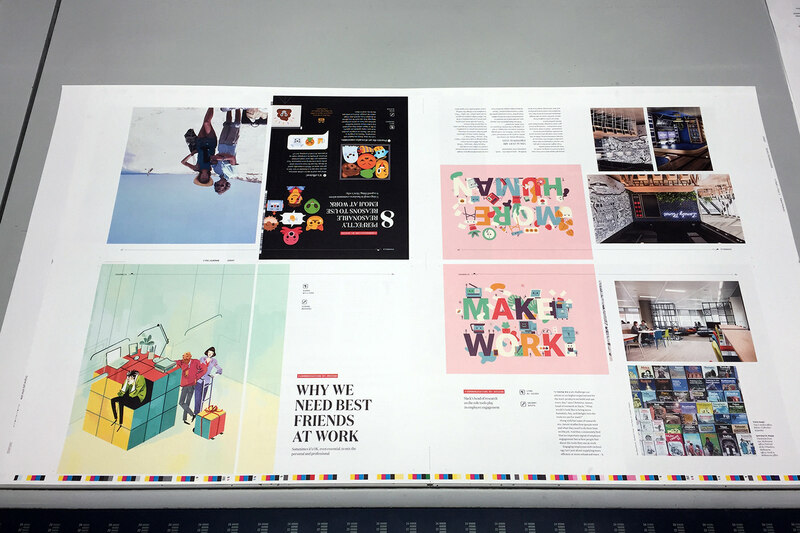 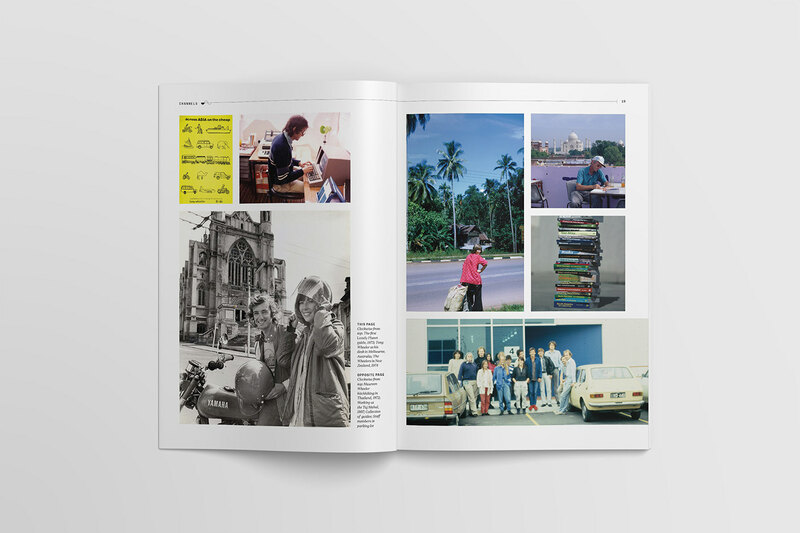 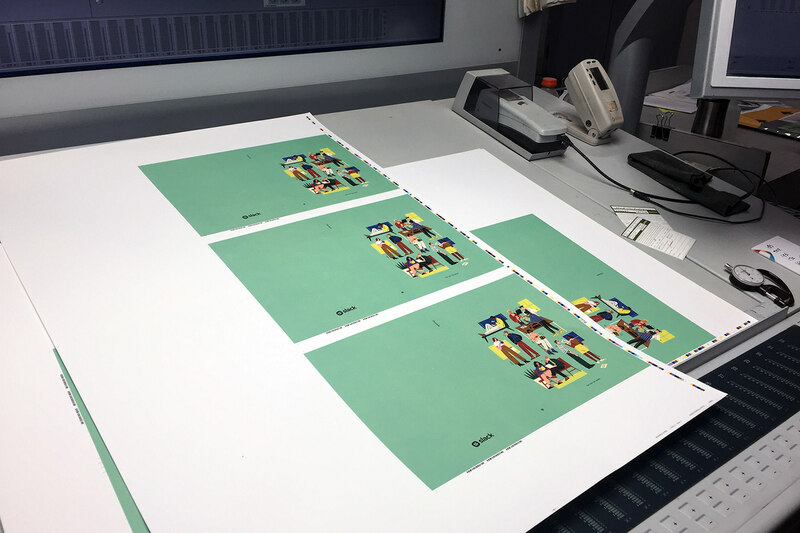 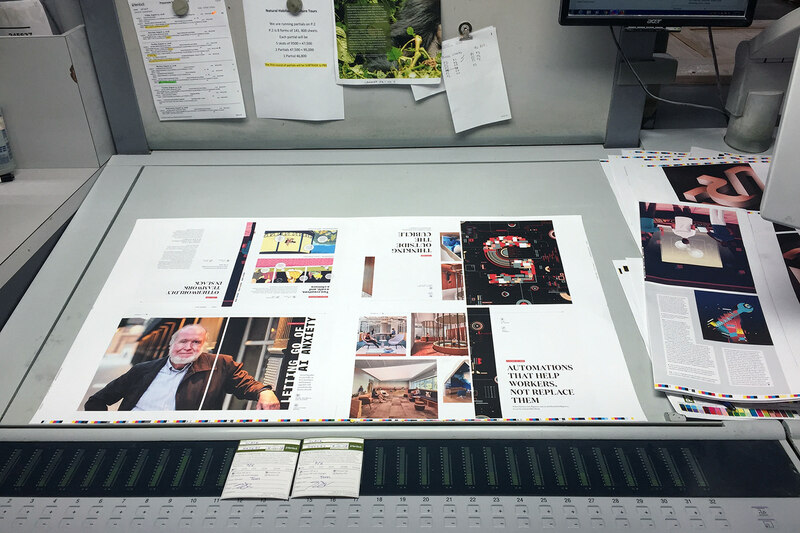 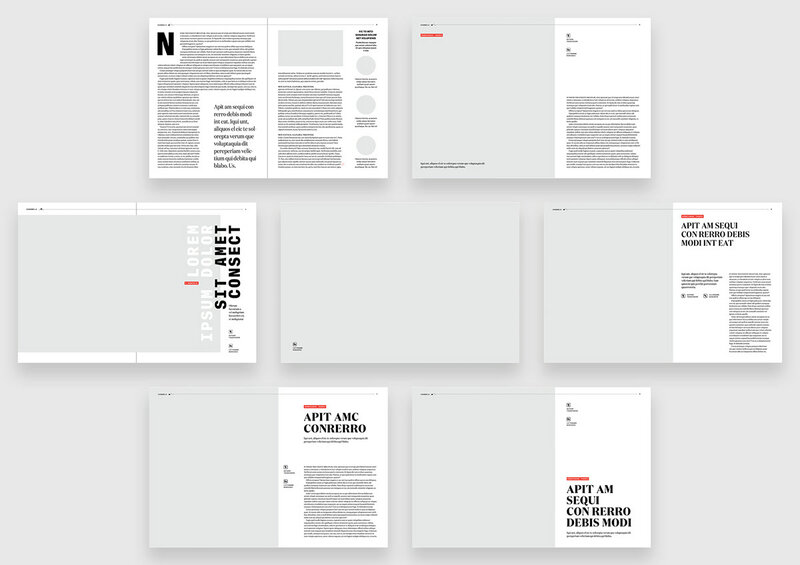 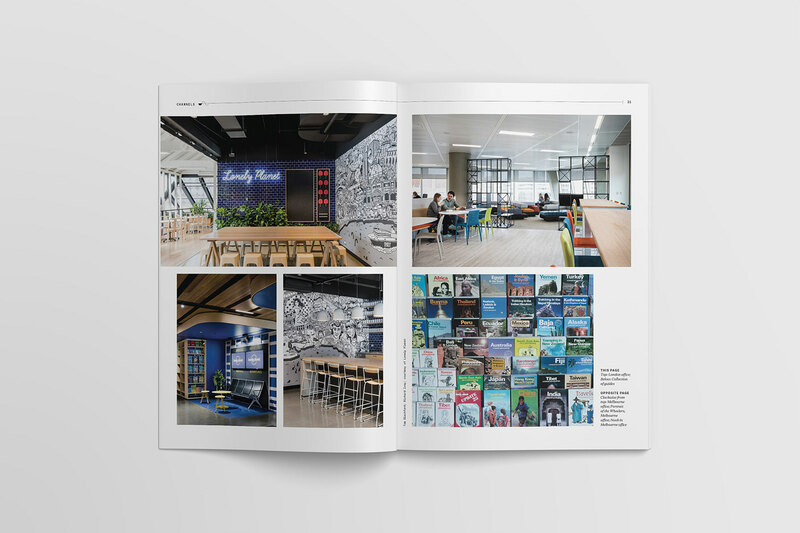 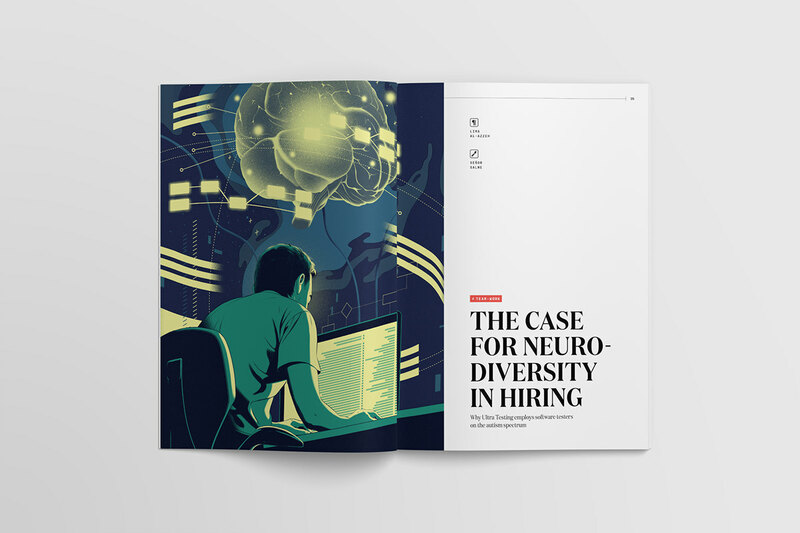 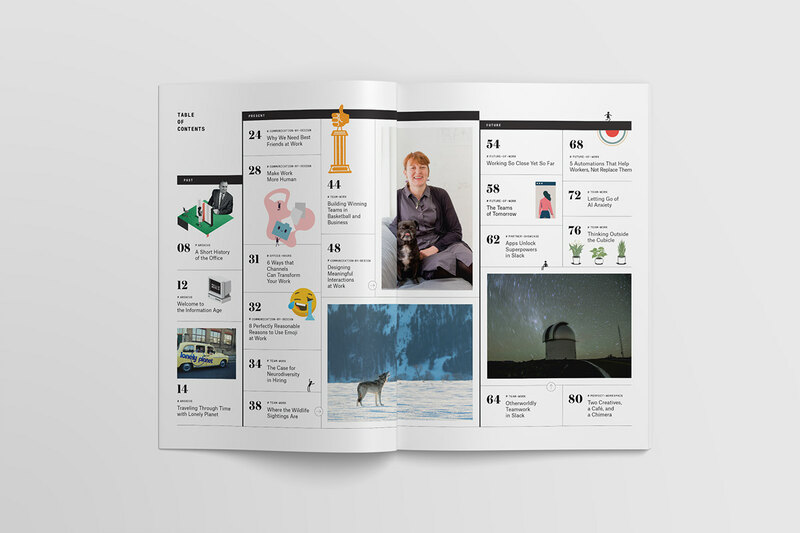 Our internal design team was tasked with creating the identity for the publication overall, as well as designing the layout for the first issue and commissioning new artwork for each of the stories selected. 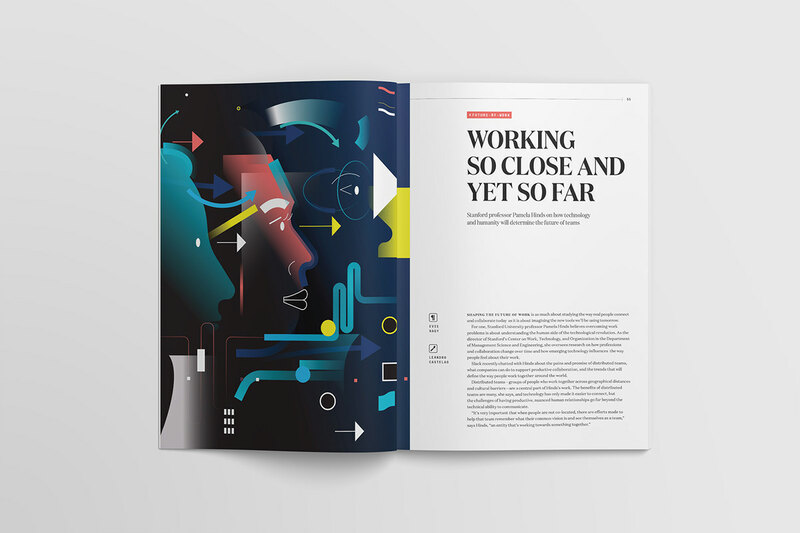 The first issue, "The Way We Work," features three, distinct sections of content: the Past, Present, and Future of work. 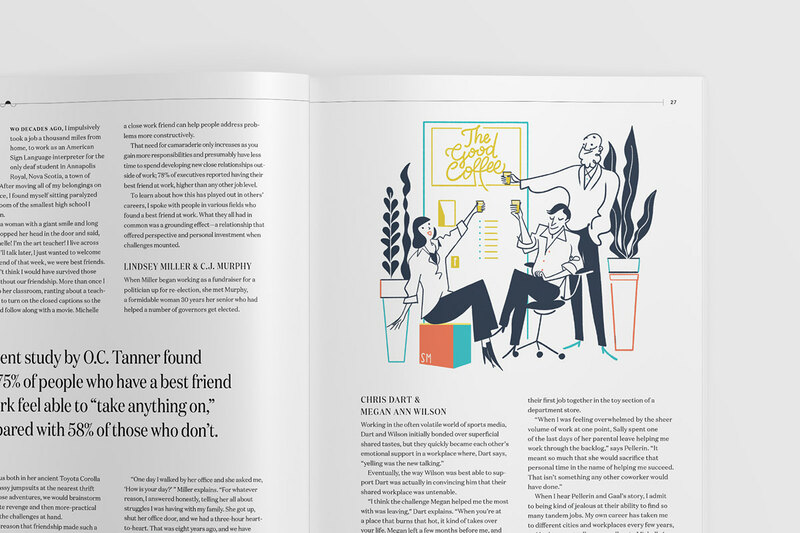 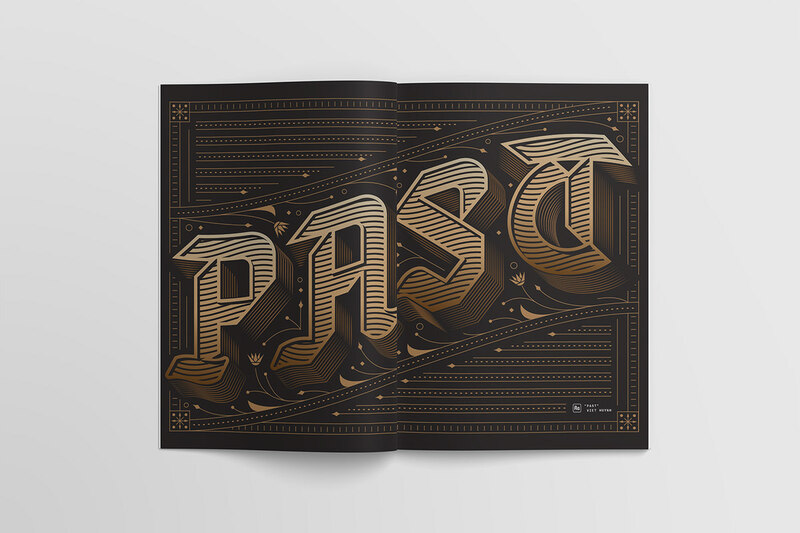 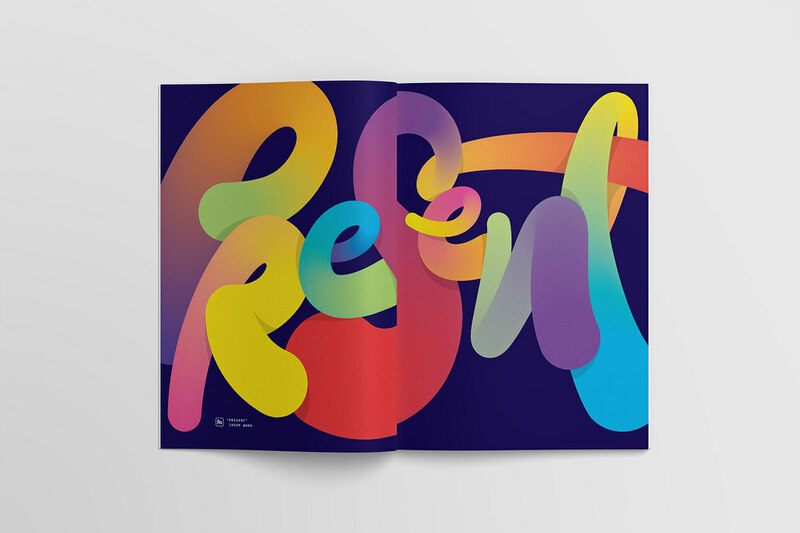 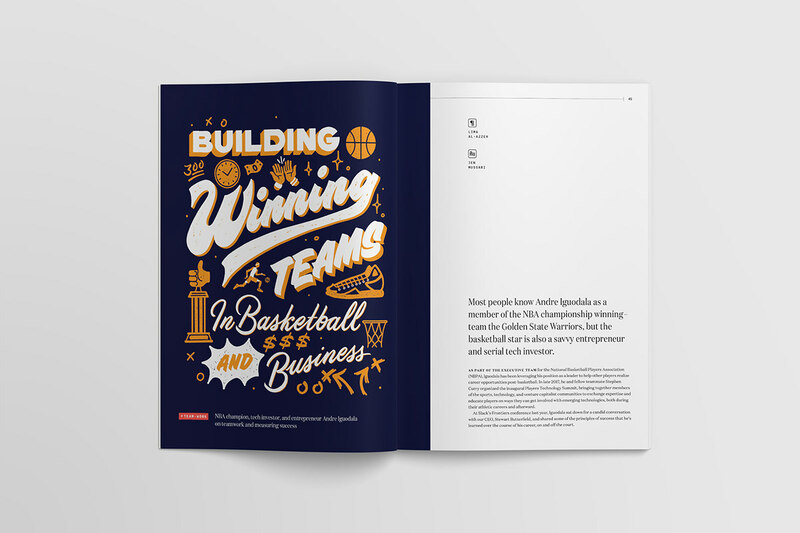 With this structure in mind, we commissioned full-spread lettering pieces to bookend and divide each section, creating a visual narrative and a pace to the content as the reader moves through the issue.